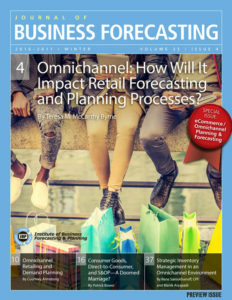 The lastest special issue of IBF‘s Journal of Business Forecasting (JBF) – Winter 2016-2017, is dedicated to the newly emerged channel of distribution, e-Commerce. A total game changer, it has disrupted many markets and has revolutionized the forecasting paradigm. 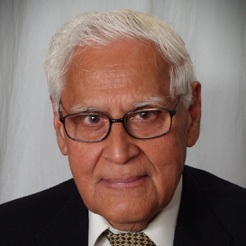 It has changed the way manufacturers sell their products and the way consumers buy them. Manufacturers now sell their products not only to wholesalers, distributors, and retailers but also directly to consumers. Logistics companies now deliver many more packages, mostly small and less bulky, both domestically and internationally. What’s more, they do it faster than ever before. With these innovations come both challenges and opportunities. It is up to us as demand planners to use the information available in this new paradigm to make our demand planning more effective. By selling directly to consumers, manufacturers have also become retailers. With that, they bypass the middleman, which raises their profit margins. Just as valuable is access to true consumption data, which greatly improves forecasts and provides a market for products that have already matured in traditional markets. This change also makes it easier for manufacturers to shape the demand, and provides an opportunity to test new products before releasing to brick-and-mortar stores. It even allows for the launch of niche businesses, with Dollar Shave Club and Just for Men being key examples. In short, the data available to us in this new omnichannel world is a potential goldmine. But it’s not all smooth sailing. There are many challenges that come with omnichannel, too. Among others, it increases the cost of serving consumers. Manufacturers are now in direct competition with their retailer customers. To alleviate that, they distinguish their products by changing packages and configurations. The result? Increased costs. With smartphones and shopping apps, consumers have more visibility of prices on the web and on the shelf. If they find lower prices on a retailer’s or competitor’s website, they want the retailer to match them. Increased transparency makes consumers smarter, and smarter consumers mean tougher business – they want lower prices, they want better quality and they want it faster. Are retailers and manufacturers racing to the bottom, chasing ever smaller profit margins, and if so who will emerge victorious? For now, with the rise in store closings, the odds are stacked against retailers. Cannibalization is another problem. When a manufacturer starts selling directly to consumers, it cannibalizes its own business base. In seeking higher profit margins by selling direct, they are cutting off their retail clients, unaware of the limitations of this path. 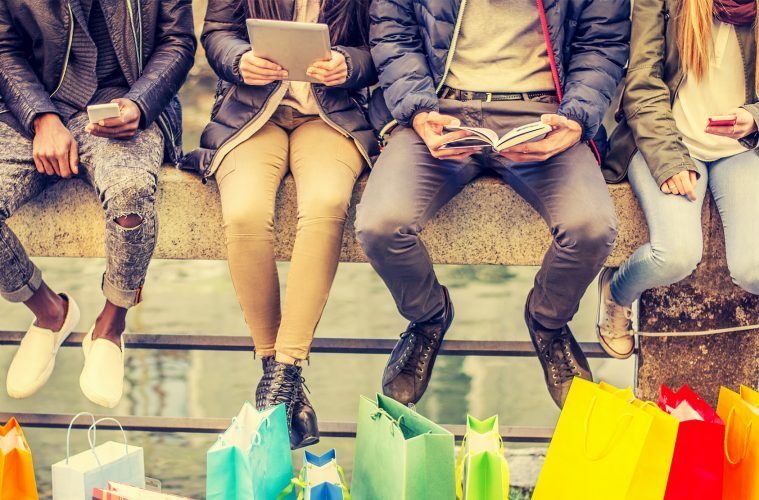 As if this wasn’t complicated enough for demand planners and forecasters, omnichannel retail adds to the points of sale, which can reduce the quality of forecasts and increase inventory. Changes are not going to stop, they will continue apace. Consumer patience is getting thinner and thinner; they want goods now, not hours or days later. Technology is going to improve further, making it easier and quicker to place orders. The ways products are packed and shipped will change, so that consumers can get whatever they want, whenever and wherever they want it. Big data and predictive analytics will change the way businesses market their products. There will be more and more target marketing, targeting consumers with specific attributes based on demographics, age, and buying habits. This will increase ROI for those who can manipulate their consumer data. This information means we have the power to not just meet demand for existing products, but also test the demand for new products. This is a real gamechanger. This vision of omnichannel retail is not a fantasy, it is already happening. To succeed, businesses must embrace changes, not resist them. Forward-looking companies are already doing it. Walmart and Kroger are expanding their pick-up services so that consumers don’t have to waste time in finding what they need, nor do they need to wait in line for check-out. Companies like Warby Parker (eye glasses) and Bonobos (men’s clothing)—two of the larger e-commerce-driven retail companies in the United States— are considering building store footprints where consumers can see and touch products before placing an online order. Not to buy instore, but to check size and style before the product is shipped to their home. Combining the digital with the physical creates a new shopping experience—try before you buy and still benefit from the low online prices. Customers get the product at the price they want and companies enhance their brand by providing a multidimensional consumer journey. Similarly, Amazon Go is going to change the way consumers buy goods. Consumers will walk into a store, use an app to log into their Amazon account, pick up whatever they need, and then walk out without ever going to a check-out counter. Just as the Internet took brands off the street, omnichannel is putting them back, except now it is more affordable for consumers. There are without doubt both challenges and opportunities in the omnichannel sphere – it is time to help position your organization to overcome the former and benefit from the latter. The Journal of Business Forecasting has been providing demand planning, forecasting, supply chain, and S&OP practitioners with jargon-free articles on how to improve the value of their roles and company performance from improved forecasting and planning for over 30 years. Download a preview of the latest Journal of Business Forecasting. Click here to join IBF and receive a JBF Complimentary Subscription. Passion & Spice Missing From Your S&OP Relationship? Nice blog and very informational. Omnichannel and E-commerce are new retailing and selling paradigms that have new touch points for customers. They need a supply chain that accelerate the movement of inventory through the entire supply chain to meet customer expectations.